"Warm, generous tone, impeccably developed solos and infectious performance energy." "What I require for music to really captivate me," Anton says, "is groove and intellect working in tandem. Music that gets into your bones, into your head and into your heart." Jazz's greatest improvisers create music that packs an emotional punch. It's a lesson that tenor saxophonist Anton Schwartz learned well. Schwartz's Quintet is Winner of 2016 Northwest Acoustic Jazz Ensemble of the Year. Their latest album, Flash Mob, spent eight weeks in jazz radio's Top 10 and earned a four-star review in Down Beat magazine, reinforcing Schwartz's reputation as a passionate but poised improviser and smart purveyor of captivating melodies. Schwartz has performed at jazz's most prestigious clubs and festivals, including the Blue Note and Dizzy's (NYC), Blues Alley (DC), Yoshi's (Oakland), Jazz Alley (Seattle), and the Monterey Jazz Festival. Recent engagements include sold-out shows at Jazz at Lincoln Center and a feature as soloist with the Boston Pops in Boston Symphony Hall. 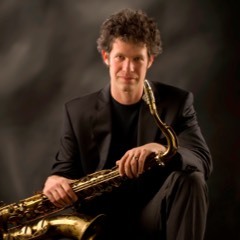 He is a longtime faculty member of the California Jazz Conservatory and has taught extensively at the Stanford Jazz Workshop and the Brubeck Institute. Schwartz is also the author of a popular blog about jazz, improvisation and harmony.